The mission of the Boys & Girls Clubs of Ada County is to inspire and empower all young people, especially those who need it most, to realize their full potential as productive, responsible and caring citizens. Since February 1997, the Boys & Girls Clubs have provided fun and engaging after school and summer programs to thousands of the community's most vulnerable youth. The Boys & Girls Clubs offer a unique array of services not available elsewhere in the community. They offer a positive and unique place with individual attention to every Club member in order to develop character by emphasizing integrity, respect, self esteem, responsibility, and appreciation of life. We envision a world-class Club Experience that assures success is within reach of every young person who walks through our doors, with all members on track to graduate from high school with a plan for the future, demonstrating good character and citizenship, and living a healthy lifestyle. Our promise to our community's youth is to provide a safe, positive place and have a significant impact of their lives. Our Board of Directors developed a comprehensive strategic plan with three strategic priorities and long-term goals that we believe provide the road map to fulfilling our mission of inspiring and empowering all young people, especially those who need us most to reach their full potential as responsible, productive and caring citizens. First, we have a responsibility to the youth we serve to provide a high-quality program that makes a dramatic and sustained difference in their lives. Therefore we will strive to increase our impact on our “highly-engaged" Club members – those who attend the Clubs three times per week or more - through a targeted, outcomes-driven initiative. Past evaluation has proven that Club programming is most impactful for those who attend and participate regularly, helping them succeed academically, make healthy choices and lead and serve in their communities. To that end, we seek to ensure that those youth who attend the Clubs frequently reach specific benchmarks in three key areas: academic success indicators, good character & citizenship key indicators, and healthy lifestyles indicators. Secondly, we need to strengthen organizational capacity and capability to drive quality and increase impact. In response, the Boys and Girls Clubs of Ada County's Resource Development Plan outlines the need for steady growth in individual, corporate, and foundation relationships. The Plan outlines a variety of fundraising goals including (1) major and planned giving emphasis, (2) fund raising events, (3) 6% growth in public annual campaigns such as direct mails, ask events, and personalized solicitations, (4) and growing corporate & private partnerships between Clubs and organizations. (5) Growth of endowment and long-term funds to support operations and future expansions. Thirdly, once we have achieved benchmarks in impact and organizational capacity, we will be optimally positioned to expand services, in pursuit of the vision that every child in Ada County has access to a life-changing Boys & Girls Club experience. The Ada County community is growing at a fast rate and demand for services is at an all-time high – in fact, demand outpaces the rate at which we can currently expand. At Boys & Girls Clubs of Ada County, we aim to promote regular attendance at the Clubs and sustained participation in targeted programs for the kids who need us most, in order to help them overcome obstacles in their life so they can achieve outcomes that result in a healthy, responsible, productive adult. We collect and analyze data through the National Youth Outcomes Initiative (NYOI), a nationally survey built to measure the impact of Clubs using a common set of research informed indicators of our priority outcomes that helps us understand how we can tailor our programs and services to have the maximum impact on the youth we serve. The survey guides Clubs in helping youth achieve positive outcomes in three priority areas: Academic Success, Good Character and Citizenship, and Healthy Lifestyles. In NYOI, individual Boys & Girls Clubs collect data about their registered members' demographics, attendance and participation. Local data management systems feed data into BGCA's national system, allowing BGCA to compile data on the national, state and local populations served by Clubs. The NYOI measures youth perception of the key elements for positive youth development. In addition to measuring the impact of Boys & Girls Clubs, the NYOI measures member perceptions of their experience at the Club. The following seven indicators, also known as the “Club Experience Measures" are used within the NYOI Member Survey: Emotional Safety, Physical Safety, Sense of Belonging, Recognition, Adult Support, Staff Expectations, and fun. We know that a better club experience leads to better member outcomes in the areas of health, academics, and character. This online survey asks age-appropriate questions about member behaviors and attitudes around the Boys & Girls Club experience and the three priority outcomes in Academic Success, Healthy Lifestyles and Character & Citizenship. Boys & Girls Clubs of Ada County administers the survey once per year. 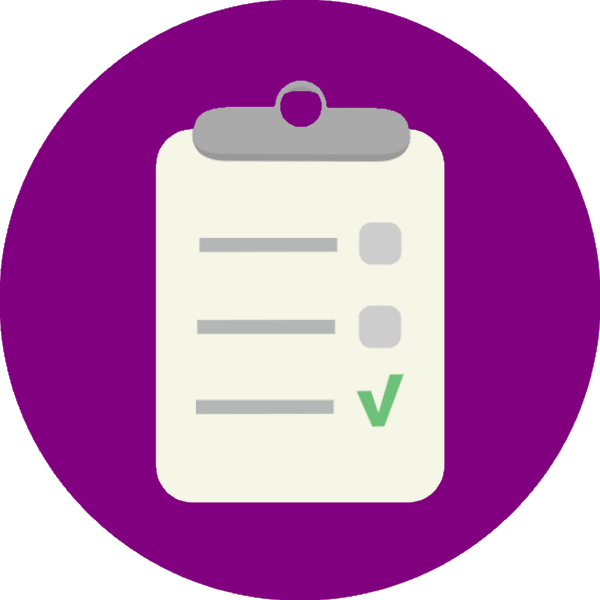 Surveys are available in both English and Spanish, and all staff training, distribution and scoring are completed by Boys & Girls Clubs of America. The Boys & Girls Clubs of Ada County is a leader in outcomes measurement, building the capability to collect and use data to gauge beneficial effects on young people. This feedback enables us to implement best practices, make changes where needed, and provide the optimal club experience for children. We evaluate this data frequently and even have a committee comprised of board and staff members who meet monthly to make sure targets are being met and continually improved. Since 1997, the Boys & Girls Clubs of Ada County has been in the forefront of youth development, working with young people from disadvantaged economic, social, and family circumstances. Boys & Girls Clubs provide time-tested solutions that positively impact the lives of 4,600 Ada County children, ages 5-18 though our four Club locations. Through dedicated staff, nationally recognized programs that focus on the whole child, and community partnerships, we are positively shaping the future for our youth and families in our community. Progress is carefully measured. Boys & Girls Clubs of Ada County maintains high levels of capabilities regarding our out of school time youth programming and we rely on evidence-based best practices in youth development in all of our services. Our primary objective is to keep kids safe and provide a life-changing impact. The club experience is based on high quality activities that engage members cognitively, physically and emotionally. Evaluation of our programs and operations occurs consistently and comprehensively, examining both the process and outcomes associated with the implementation of evidence-based curricula and program delivery. Process evaluations help to determine if our interventions are being delivered as intended so that adjustments can be made to improve program delivery. 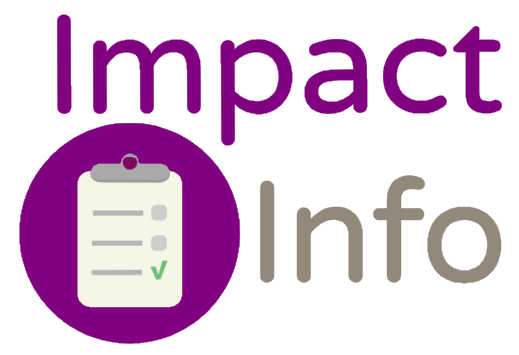 Outcome evaluations help identify which program components are working and which need modification, and provides evidence that interventions lead to the planned changes in participating young people. 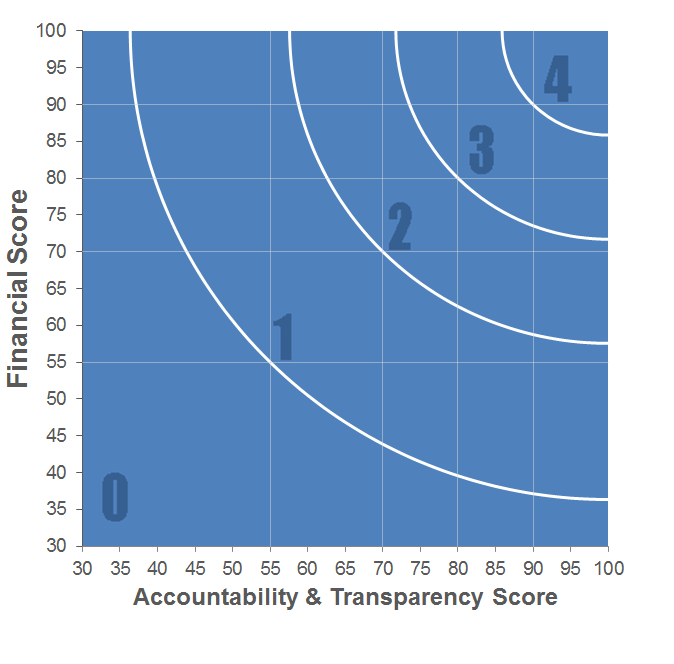 We rely on tracking a number of indicators to determine our progress in achieving outcomes and long term goals. The indicators we measure and track are grouped by their outcome area and include: Academic Success • Days of skipped school • expect to go to a 4-year college (teen) • thoughts that school work is meaningful and important • thought on effort and doing your best Character & Leadership • abstained from fighting (teen) • volunteerism • optimal conflict resolution skills Healthy Lifestyles • abstained from smoking cigarettes (teen) • abstained from drinking alcohol or using drugs • # of fruits and vegetables eaten • hours of Physical Activity • Attitudes & Perceptions related to healthy lifestyles • Relationship quality • Physical Violence In addition to relying on our highly qualified and caring staff to achieve our goals, we use a variety of tools to ensure organizational quality and sustainability. This includes an employee handbook, hiring policies, new employee orientation from the organization and at the club level, Standard Operating Procedures, and at least 32 hours of annual operational and youth development training. All managers receive targeted management training to ensure a safe and healthy work environment. All parents are given a parent/member handbook when becoming a member. All new parents attend annual mandatory parent orientation meetings at the beginning of the school year and the summer. Monthly audits are conducted on member files, facilities, and operating budgets. Annual safety assessments occur at each site location and youth members, parents, and staff are all surveyed on at least an annual basis to ensure agency and voice in preserving a safe and constructive environment for all participants. Annual Sexual Harassment, Workplace Bullying, Civil Rights, and Child Abuse Prevention training is mandatory of all employees working directly with youth. Pre-employment and updated annual background checks occur for all employees, volunteers, and paid minors with nationally recognized minimum criteria for approval to interact with children. This is a drug, alcohol, and tobacco free Workplace with signed consent to drug testing by all paid employees. All paid staff are required to maintain current CPR/First Aid/AED Certifications and update as needed to ensure compliance with board approved policy. Active board committee oversight of facilities/property, programs, finances, resource development and human resources adds to our organization's capabilities. All parents' sign consent to share data with us, schools with the clubs and with our selected funding partners. All parents sign transportation authorization, media authorization, medical releases, including special medical conditions. This organization conducts an annual independent audit by an external, third party, Certified Public Accountant (CPA) to ensure financial integrity and transparency for all financial matters related to its services. This institution is an equal opportunity provider and employer. In our progress toward achieving our comprehensive strategic plan, Boys & Girls Clubs of Ada County has achieved many accomplishments. Likewise, related challenges from this last year are also listed below. The accomplishments and challenges are categorized as Organizational Performance accomplishments required for overall success and as Youth Impact. ORGANIZATIONAL ACCOMPLISHMENTS • Total Youth Served =4,649 • Membership = 3,261 • Average Daily Attendance: 500 • Adult Staff=125 • Volunteers=434 ORGANIZATIONAL CHALLENGES •Teen Membership is low •Growth opportunities are outpacing how fast we can grow In academic success, among of teen members 95% expect to graduate form College, and 79% expect to complete some kind of post-secondary education. IN good character & citizenship, 75% of Club teen members volunteer at least once per year, while 68% volunteer at least once per month. In Healthy lifestyles, 61% of Club members ages 9 and older report getting at least an hour of physical activity on five or more days per week. All data for Financial Performance Metrics calculations was provided by Boys & Girls Clubs of Ada County on recent 990s filed with the IRS. Boys & Girls Clubs of Ada County has received 2 consecutive 4-star ratings from Charity Navigator.